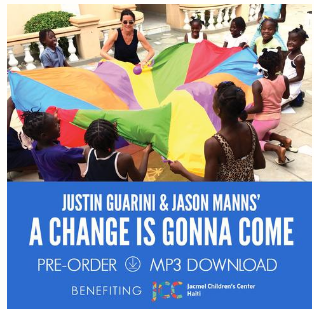 Jason Manns and Justin Guarini teamed up earlier this year with the help of Stands to record a duet of “A Change is Gonna Come”, benefiting the Jacmel Children’s Center in Haiti. Stands has announced via their official Twitter account that January 18th, 2019 is the official release date for the song! “A Change is Gonna Come” is currently available for pre-order here for $5 and according to the site, “100% of your donations will go to Random Acts to support operational costs of the JCC.” We are eagerly awaiting its release! Previous story New Pixar Film ‘Onward’ Announces Cast and Release Date!